Certain officers, directors, and owners of Keller Williams Realty, Inc. have ownership interests in Keller Mortgage. 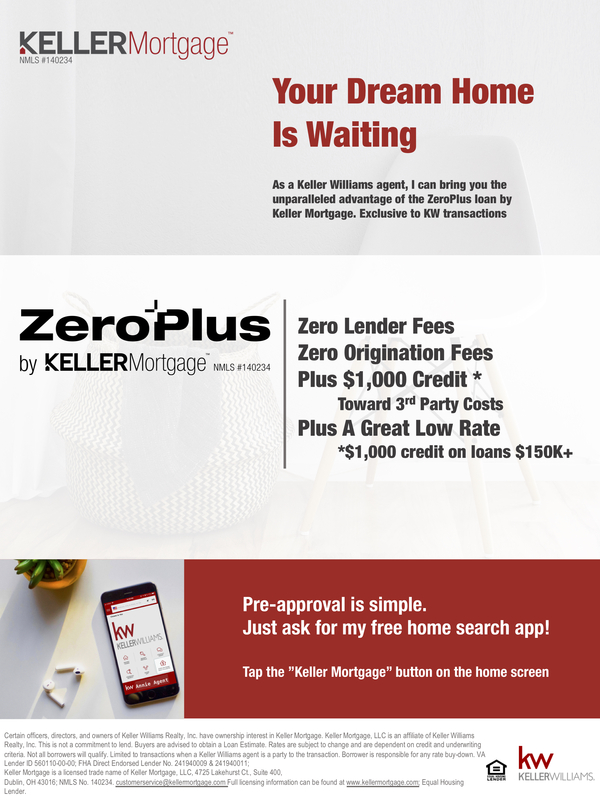 Williams Realty, Inc.
You are not required to use Keller Mortgage. Please read our Affiliated Business Arrangement Disclosure HERE.